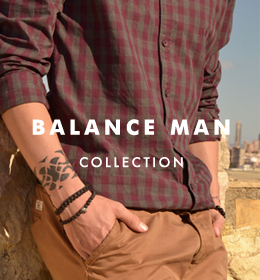 ZIRCON There are 55 products. 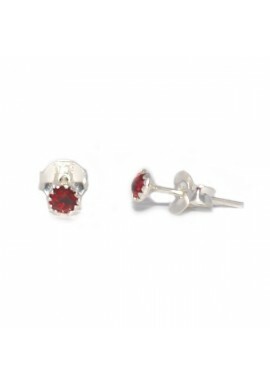 Sterling silver 3 mm stud earrings with garnet CZ. Sterling silver 3mm stud earrings with sapphire CZ. 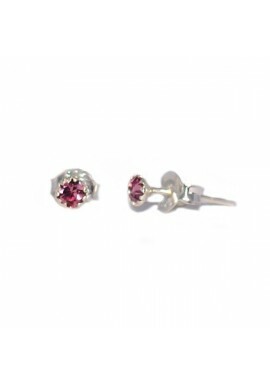 Sterling silver 3mm stud earrings with pink CZ. Sterling silver 4mm stud earrings with square lavender CZ stone. 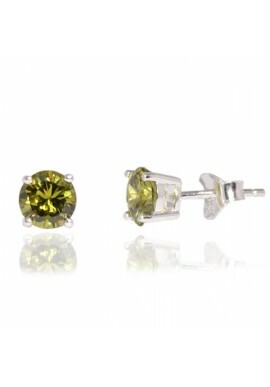 Sterling silver 6mm stud earrings with green CZ. 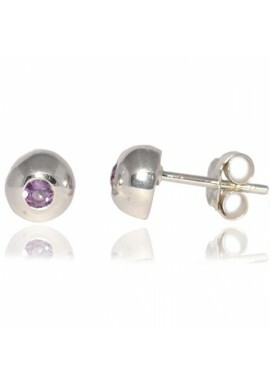 Sterling silver 6mm stud earrings with lavender CZ. 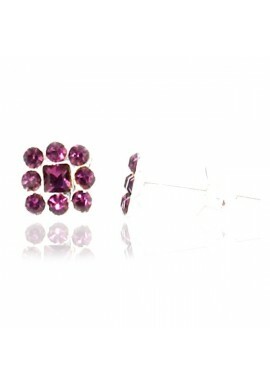 Sterling silver violet CZ stud earrings. 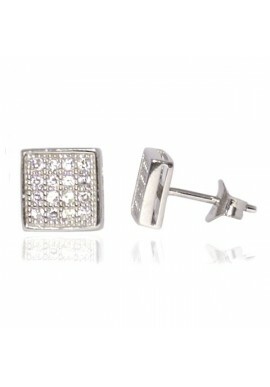 Sterling Silver white pave CZ square earrings. 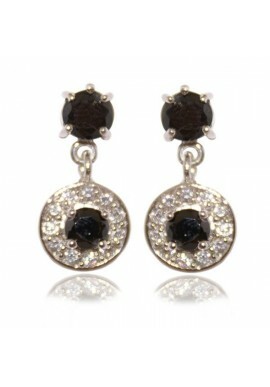 Sterling silver garnet cz stud earrings. 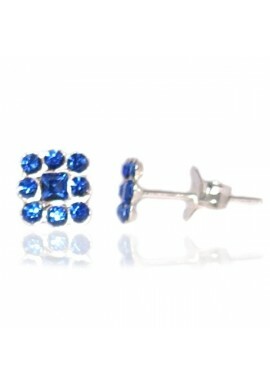 Sterling silver light blue CZ stud earrings. 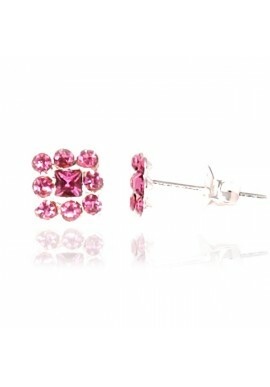 Sterling silver square pink cz stud earrings. 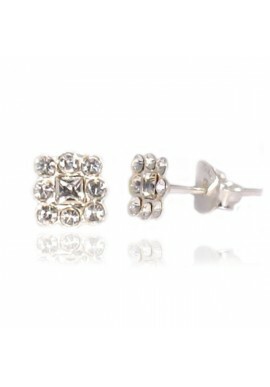 Sterling silver white CZ stud earrings. 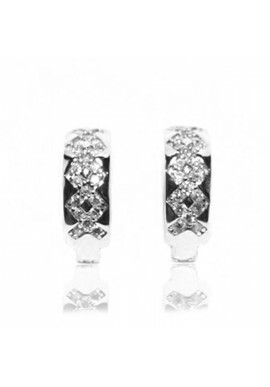 Sterling silver rhodium finish pave CZ mini hoops. 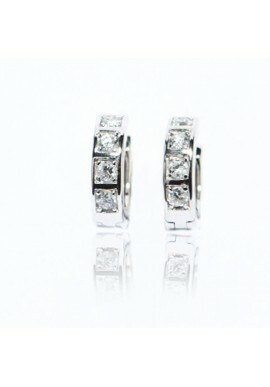 Sterling silver rhodium finish white CZ pave half hoop earrings. 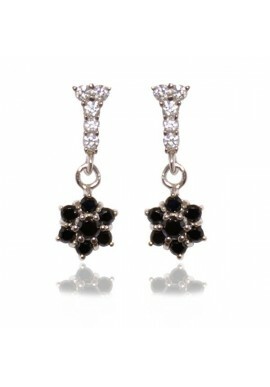 Sterling silver rhodium finish pave CZ and onix flower earrings. 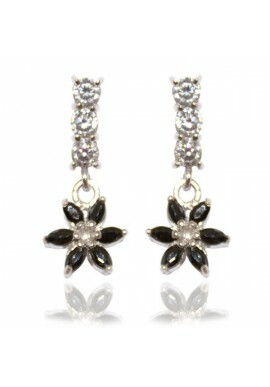 Sterling silver onix flower and white CZ pave dangle earrings. Sterling silver black and white pave dangle earrings. 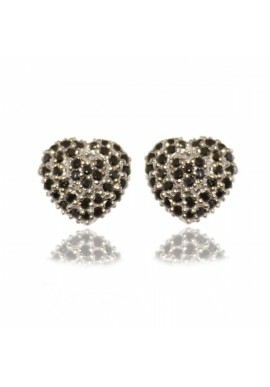 Sterling silver onix CZ heart earrings. 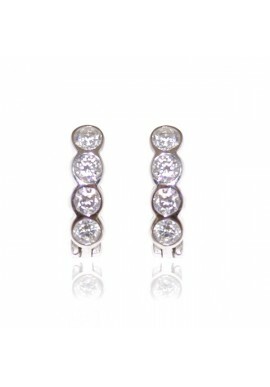 Sterling silver earrings with four white cubic zirconia bubbles. 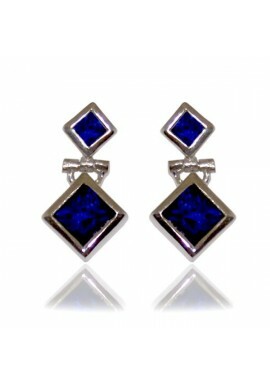 Sterling silver platinum finish blue sapphire CZ rhombus earrings.